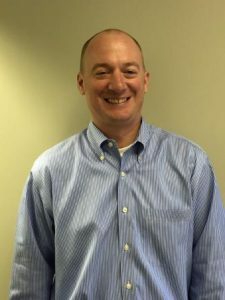 New Brand Manager for Standoff Insulators | Mar-Bal, Inc.
Mar-Bal is very pleased to announce the addition of Sean Mott as Brand Manager – Standoff Insulators effective earlier this month. Sean has over 10 years of account and sales management experience in the thermoset composites industry working for Rochling Glastic Composites. Through his customer intimacy and relationship building, especially in the distribution market, Sean has been instrumental in creating a culture of business development opportunities that led to increased revenue. In this newly created position, Sean will be responsible for key account management, product category management, new product development and overall sales growth. I am confident that his knowledge, experience and skill sets will be a tremendous asset to Mar-Bal, Inc. and our customer partners. Sean will be located at our Corporate Office in Chagrin Falls, Ohio and will be reporting directly to Ron Poff – Director, Global Marketing and Brands. Sean can be reached at 216-470-5669 or via email at sean.mott@mar-bal.com . Please join us in welcoming Sean to Mar-Bal, Inc.! This entry was posted in Blog, News on August 22, 2016 by Ron Poff.